It's no secret that those of us who have learned to appreciate Linux and in effect all things that are related to FOSS have gained some wisdom that can be applied to our daily lives. I'm not an inspirational writer but I would like to share to non-believers some of the wonderful life lessons that I've discovered from using Linux. To be happy, there's no need for you to spend your money every time. And not all expensive things are better than those that are cheap. Before, I thought that the only way to get high-quality software is to spend more. But since I discovered Linux, and then Firefox, OpenOffice, Apache, and so on and so forth... I realized that I was wrong. There's this saying that I like: “Wisdom alone is true ambition's aim, wisdom is the source of virtue and of fame; obtained with labor, for mankind employed, and then, when most you share it, best enjoyed.” With selfless dedication, Linux and the entire FOSS community have given so much for the advancement of technology. Like, thousands of FOSS developers from around the world share their knowledge not because their main priority is to earn millions or even billions of dollars, but because they want to create something that can be useful to others without expecting something in return. Indeed there's a joy in sharing. Perhaps most of us know that perseverance is one of the keys to achieving a successful life. I remembered all the hassles and pains when installing and using Linux several years ago. But I managed to endure all the headaches and never gave up. Now that Linux is getting better or has improved a lot, I'm glad and proud that I'm still using it all these years because I've been more productive than ever. To increase self-confidence and to live life to the fullest, you have to learn to overcome your fears. People (particularly Windows users) tend to be scared of Linux because they believe all the fallacies and lies that are being told about it. Just like riding an airplane, Linux may seem scary at first, but the truth is it’s more reliable, faster, safer and more secure than Windows. If you want your dreams to come true, be passionate. I'm not surprised that there are plenty of Linux enthusiasts who are very passionate and are willing to evangelize other people to use Linux and other free and open source software. This is because FOSS is born out of passion, and that passion is passed on from its developers to its users. How about you? How has Linux affected your life? Yeah Jun, liked it quite a bit. Lesson's I learned from Linux? That my computer doesn't control me. With just one OS really (Apple isn't there yet IMHO) we are told what way is best. I've learned from Linux that I have input to how my desktop is going to be, from what I create myself to how I can have input on other projects. When you work together, you can do anything. Or, as the Linux Foundation has succinctly put it, Collaborate and Conquer. I can completely agree with you. I already learned a lot from Linux. I CAN change things to work for me,as I wish it would work. I can,and will master anything I want,with the power of patience and consistence. Knowledge,with windows it`s all easy,boring,nothing to learn from the OS or the computer himself,like the computer is controlling you. Linux is a small part of my life,but made some serious changes in my thoughts. Thank you for this great article. With Linux, I have learned that true innovation and creativity comes from people, not profit seeking corporations. That a computer can only be as functional as the person sitting at the keyboard is allowed to be. With Linux, the artificial constraints of proprietary software are removed, and even I can do something more productive and useful than check my e-mail, surf the net, and play "solitare". A day does not pass that I don't give thanks for the many thoughtful and talented people who made this possible, and do my best to support the community in whatever small way that I am able. I befriended RedHat in 1998, there have been challenges, plenty at times. Totally agree! When someone puts well being of people around as the top priority and not the money, fruits will be enjoyed by all and the person will be a lot happier than simply buying the toys on that money made from misfortune of many users. Thank you for sharing the wisdom from Linux experience! Basically, to sum things up, with Linux, you are a participant. With Windows, you are a spectator. 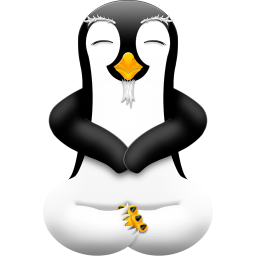 Linux is playing very important role in my life..
Linux should always go together with humanity..
That is why I always use Ubuntu and the other distros rather Fedora or OpenSuse backed by Gold diggers.